Capri by the Sea Condominiums lives up to its name with its front and center location on one of San Diego’s most beautiful coastlines. These condominiums have commanding views of the dazzling Pacific Ocean and expansive white sand beaches. Surf, swim, or sunbathe at the beach outside your condo. Join the fun—bike, walk or skate the Pacific Beach and Mission Beach boardwalk to restaurants, boutiques, and entertainment—and make new friends along the way. 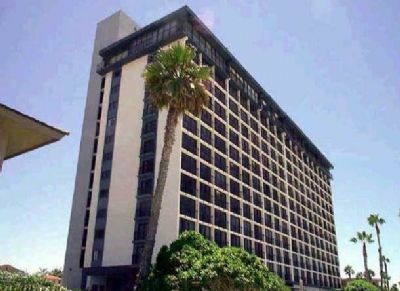 Capri by the Sea’s central location is close to San Diego’s iconic attractions including the San Diego Zoo, Balboa Park, Old Town and the Del Mar Race Track. 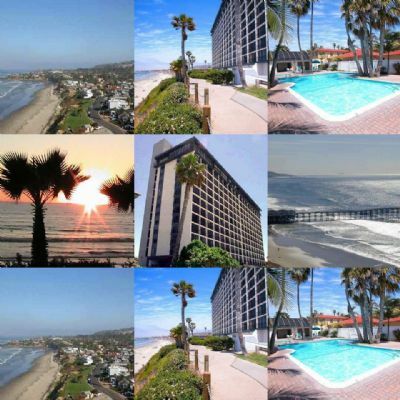 These San Diego timeshare resales give you the ideal vacation year after year! Choose an oceanfront one bedroom, one bath or two bedroom, two bath condominium for your special vacation. Expansive and comfortable with a relaxed vibe, these timeshare condos feature panoramic ocean views. A large, fully equipped kitchen with dining area makes it easy to prepare and enjoy a complete meal. There’s room for the whole family to get together in the spacious living area with TV, DVD or VCR. Keep connected with high-speed internet access. A washer and dryer are on each floor and secure garage parking is included. Enjoy incredible ocean and beach views while grilling and dining on the roof top terrace. When not at the beach, enjoy the resort’s heated outdoor pool and whirlpool spa and steam room, for swimming and relaxing. With perfect weather and miles of pristine ocean, San Diego is the perfect place to try out those water sports you’ve always wanted to master—surf, scuba dive, windsurf, sail and water ski. Charter a deep-sea fishing boat and bring home the catch of the day. Buy a timeshare resale at Capri by the Sea! Contact Capri by the Sea Condominiums Specialist Today!